Faber Showroom is a range of products that Faber Chimica has developed to combine the performance and effectiveness of professional products with the needs of who wants to take care of surfaces by ourself. High-performance products that stand out for their quick, easy application and the fact they offer all-round care for different surfaces while completely respecting the materials and their different characteristics. All with the constant, punctual and above all, professional support that has always been a standout feature of the Technical Assistance Service at Faber Chimica. The Faber Showroom line is available in the top showrooms and from the best retailers of building materials, and it can boast a range of products that have been tested and recommended by the major manufacturers of tiles and facings in ceramic or natural stone, to care for, clean and maintain the surfaces covered in their creations. The products in the Faber Showroom range have been designed and developed starting with the characteristics of the materials and the needs of users, and they are constantly in line with the particular nature of the latest collections of coverings presented by different manufacturers. Waxes and Finishes to bring out the full, natural beauty of every material, giving it full, lasting protection. Water-based cream polish to restore scratches and aggressions natural stones, glazed ceramics and lapped or porcelain stoneware. Stain proof impregnator for completely invisible protection on all absorbent materials. Stain proof impregnator for completely invisible and low-odour protection on ceramics and porcelain stoneware. 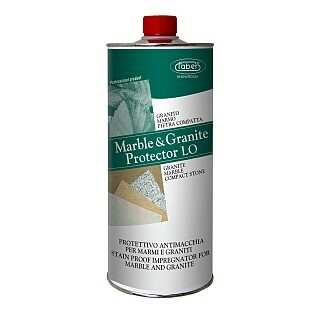 Stain proof impregnator for completely invisible, fast drying protection for marble, granite and natural stone. Low odour stain proof impregnator for completely invisible, fast drying protection for marble, granite and natural stone. Non-slip treatment for stoneware, ceramics, granite, quartz and siliceous stone. Colour-enhancing, stain-proof impregnator with semi-polished wet-look finish, for all absorbent surfaces. Stain-proof impregnator for completely invisible water-repellent, low-odour treatment for kitchen and bathroom tops. Deep-penetrating, water-repellent, impregnator for completely invisible protection against water and rising damp on cotto and terracotta. Stain-proof, water-repellent impregnator with colour-enhancing effect for wood and parquet surfaces. Concentrated acid-based cleaner for after setting washing to remove cement residues and inorganic dirt. pH neutral cleaner for day-to-day cleaning of ceramics, porcelain stoneware and low-absorbent materials. Alkali-based cleaner for deep cleaning of grout widths and to remove cement-based mortar from acid-sensitive materials. No-rinse, pH-neutral cleaner with antistatic properties for day-to-day cleaning of parquet and wood floors. Slightly acidic cleaner for deep cleaning of surfaces and to remove patinas and residues. Alkaline-based wax stripper for deep removal of greasy dirt, old treatments and existing layers of wax. Specific product to remove coloured stains from surfaces made of natural stone, stoneware, ceramics, cotto or concrete. Specific product to remove oil stains, and grease from surfaces made of natural stone, stoneware, ceramics, cotto or concrete.